Kevin Spacey is the kind of man who strikes fear into interviewers. 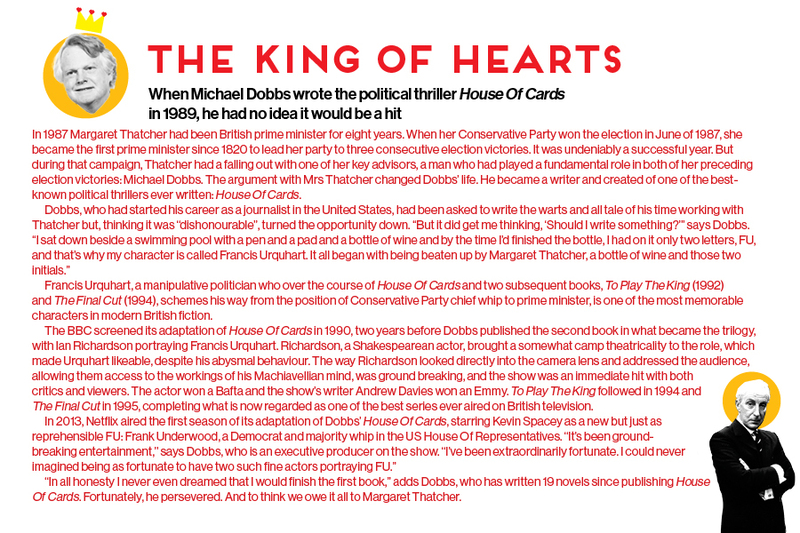 His roles – from Verbal Kint, the fabulist crook who confounds his police interrogators in The Usual Suspects, to his cruel, quick-witted Richard III on the London stage, to Frank Underwood, his super-Machiavellian politician in the TV drama House Of Cards – suggest a master obfuscator. His actual track record with the press is no more cheering. A clip on YouTube of one interview is headlined: “Mark Lawson gets owned by Kevin Spacey.” Then there was the poor hack who arrived with a sheet of questions. Spacey snatched it, scrunched it into a ball and threw it across the room. Mercifully, Emirates Man seems to have caught him on a good day. Sure, there’s some mid-level slipperiness but no real sense that Spacey wants to toy with us in lion-and-gazelle fashion. He sweeps into the central London hotel room we’ve arranged to talk in an immaculate blue suit and tie with pin; tanned, compact, of average height, with a steady, brown-eyed gaze and a presidential haircut that we’re nowhere near brave enough to ask is a toupee. When one of his co-stars from House Of Cards interrupts us on the way back from the toilet, Spacey turns and smiles: “Stop your visits to the bathroom!” There’s that distinctive voice, somehow both monotone and musical, and with a devastating change of inflection. Later we’ll be treated to two of his killer impressions: his friend Bill Clinton and his late mentor Jack Lemmon, who noticed him at a theatre workshop when he was 13 and told him he was born to act. Even this doesn’t puncture his mood. The 55-year-old has good reason to be upbeat. He belongs to an elite group of actors who have won the highest honours for performances on screen (Oscars for The Usual Suspects and American Beauty), television (a Golden Globe for House Of Cards) and stage (a Tony for Lost In Yonkers and an Olivier for The Iceman Cometh). And then there is House Of Cards, whose fourth season is just about to premiere on OSN in the Middle East, and Netflix around the rest of the world, at the end of March. 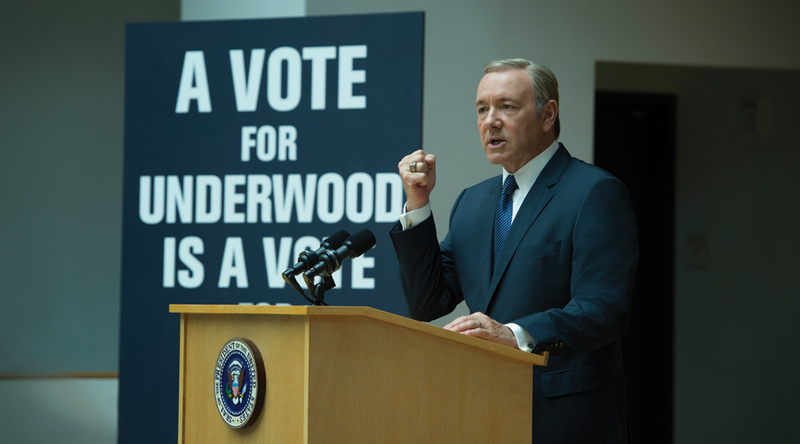 Made by Netflix, the show is the most globally popular on the online streaming service and, with the elections in the US, is going down especially well with politicians. The Clintons, like the UK’s Prime Minister David Cameron, are big fans (as is Woody Allen, after Spacey sent him the series). Given Frank’s previous misdemeanours, few of them trivial, we wondered if the programme-makers feel the need to pull back a bit? This is slightly disingenuous, given his influence as executive producer. Spacey admits that he joins the show-runner Beau Willimon, Wright and his fellow executive producer David Fincher in “broad stroke conversations about the overall arc of the season”. Does the series imitate life elsewhere? An interviewer recently tried to link Underwood’s hatred for his alcoholic father and Spacey’s frustration with his own dad, a technical writer whose volatile employment led the family to move 11 times by the time he was 12. 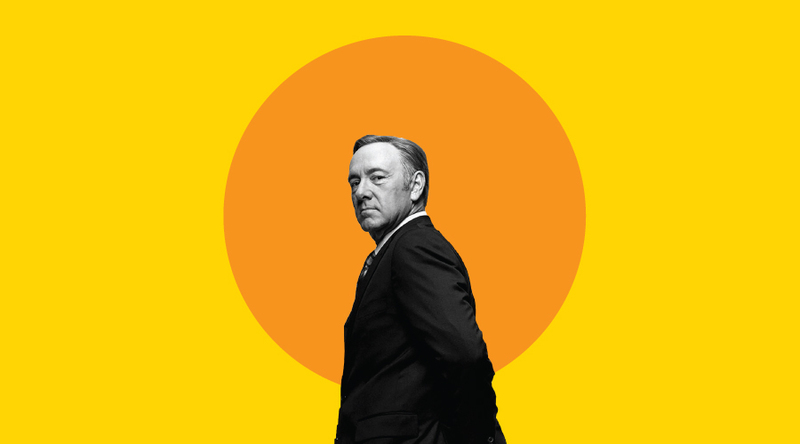 Frank and Claire have put their careers before having kids – does Spacey relate to that? “Er, no.” So he’s never wanted children? “I have wanted to have children. I do want to have children.” So it’s still on the cards? “It’s early!” As for with whom – who knows? Spacey doesn’t talk about his private life. There was a reported former relationship with Dianne Dreyer, a script supervisor whom he thanked in his acceptance speech for American Beauty. That hasn’t prevented persistent rumours about his sexuality, despite his flat denial in an interview in 1999. Finishing at the Old Vic might give him time to start a family – he seems to have precious little at the moment.